I originally bought this set to be cannibalized for its parts, but after I already removed the pieces I needed from this set, I realized that there were a ton left over. After some fiddling, and experimenting with the left over parts, I bricked this Light Carrier Frigate with a Frame Company. It's a little on the awkward side, but I think it makes a passible SSC. 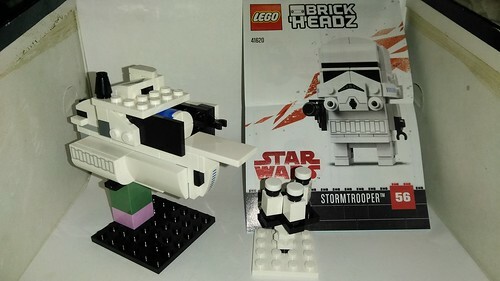 If the set came with some colored or trans colored studs to use to represent systems, this would be a pretty solid choice for beginners in my opinion. The printed tile works really well as ship detail, and the catapult shaping is great!